Publisher: George G. Harrap & Co, London. 1918. 1st UK edition. Condition: Hardcover, very good. Minor wear to cover, ink stain on one edge. Text clean, unmarked. With 8 black and white illustrations or photographs. 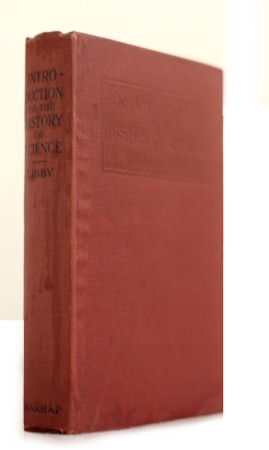 A wonderful introduction to the history of science, without distinguishing between the different scientific disciplines. An objective account which discusses Egypt, Babylon and the Middle East along with the standard accounts of Greece, Rome and Europe. Written by a Professor at the Carnegie Institute of Technology.